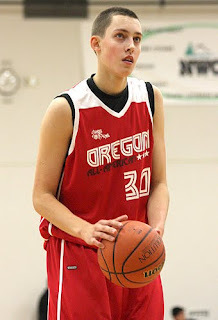 A report Wednesday morning stated that five-star prospect Kyle Wiltjer had trimmed his list to Gonzaga, California, Oregon and Kansas. However, the 6-foot-9 forward denied the report. He said he is considering Washington, UCLA, Georgia Tech, Virginia, Connecticut, Kentucky, Wake Forest and Texas, in addition to the aforementioned four of Gonzaga, Cal, Oregon and Kansas. “Everyone’s equal at this point,” Wiltjer said. The Jesuit (Ore.) product said he would wait until he narrows his list to plan visits and make a timeline for his decision. He added that style of play, the coaching staff and incoming recruiting class are going to be the major factors when he narrows his list. The knock on Wiltjer had been that he spent too much time on the perimeter and was not strong enough to go inside and utilize his size more effectively. This summer, though, Wiltjer has been more aggressive around the basket, posting up and absorbing contact. As a result, his stock has risen after performances at the King City Classic and NIKE Peach Jam, as well as with the U-18 Canadian National Team. “I feel it has,” he said. “I’ve definitely tried to show everyone all aspects of my game this summer. No one could really stop me down there so I kept going to it. He envisions himself as an inside-outside power forward in the mold of Dirk Nowitzki, Pau Gasol, Kevin Durant and other face-up power forwards. Playing for the Oakland Soldiers, arguably the most talented AAU team in the country, Wiltjer has had a chance to play with an assortment of high-major perimeter players. It enables him to take advantage of single-coverage on the low block, and makes it easier to score.